The adoption of resolution 2178 (2014) at the high-level meeting of the Security Council, chaired by U.S. President Barack Obama in September 2014, brought the issue of Foreign Terrorist Fighters (FTFs) to the forefront of the international agenda. While highlighting that no country can counter the phenomenon of FTFs alone, this landmark resolution put a number of obligations on Member States. With this resolution, the international community stressed the urgent need to fully and immediately undertake measures with respect to FTFs and particularly those associated with the Islamic State, Al Nusra Front as well as other groups affiliated with Al-Qaida. It recognized that the underlying factors must also be addressed in a comprehensive manner, including by preventing radicalization, stemming recruitment of FTFs, inhibiting FTFs’ travel and disrupting their financial support. The Resolution was adopted under Chapter VII of the Charter of the United Nations, which means that it is legally binding for all 193 Member States. It calls for engagement with relevant local communities and non-governmental actors in developing strategies for countering violent extremism (CVE). Youth, families, women, religious, cultural and educational leaders and civil society should be empowered to tackle the conditions conducive to the spread of violent extremism. On 29 May 2015, the Security Council issued Presidential Statement S/PRST/2015/11, welcoming the ‘extraordinary efforts’ by Member States to implement Security Council resolution 2178 (2014), and urging the international community to step-up efforts to combat this growing threat to peace and security. The Presidential Statement also encouraged the Counter-Terrorism Implementation Task Force Office (CTITF) in the Department to develop, in close consultations with the Counter-Terrorism Committee Executive Directorate (CTED) and the Al-Qaida Monitoring Team, a capacity building implementation plan to assist Member States in complying with the resolution and stem the flow of FTFs. In order to coordinate UN collective efforts on the issue of FTFs, the CTITF Office established an ad hoc Inter-Agency Working Group on FTFs. This Working Group is in charge of operationalizing the implementation plan requested by the Security Council, setting out capacity building and technical assistance projects to be carried out over the next two years in a coherent manner. 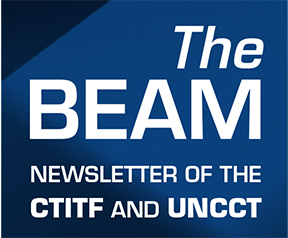 The complementary and mutually reinforcing projects will be implemented through joint efforts or independently by the relevant CTITF entities, including United Nations Counter-Terrorism Centre (UNCCT). 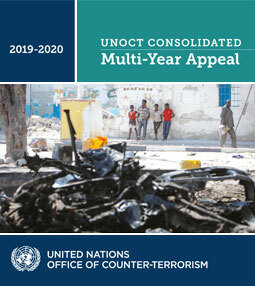 The UN CTITF Capacity Building Implementation Plan for Countering the Flow of Foreign Terrorist Fighters aims to to support Member States fulfil their obligations under Security Council resolution 2178 (2014), addressing the full life-cycle of Foreign Terrorist Fighters starting with their radicalization, travel, training, operationalization, financing, return and potential resumption of violence in their home countries.